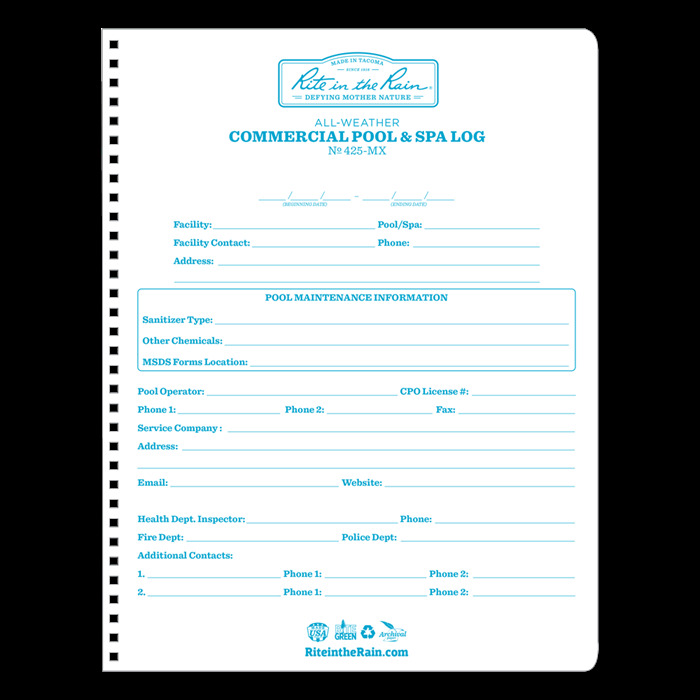 The 8 1/2" x 11" Commercial Pool and Spa Logs are made with a durable Polydura cover, wire-o binding, and printed on Rite in the Rain all-weather paper. 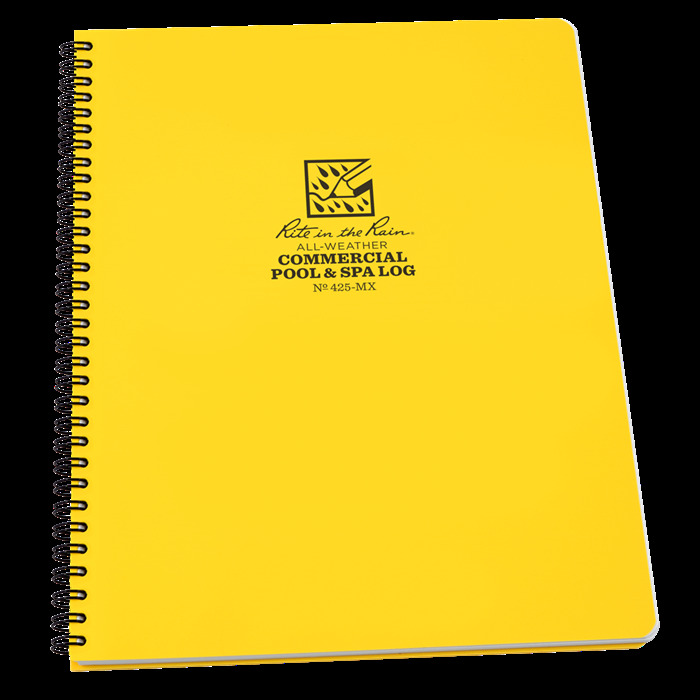 The Commercial Pool and Spa Log is capable of handling the busiest of pools! 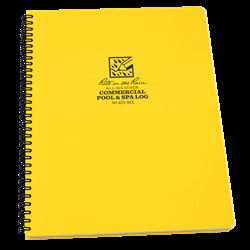 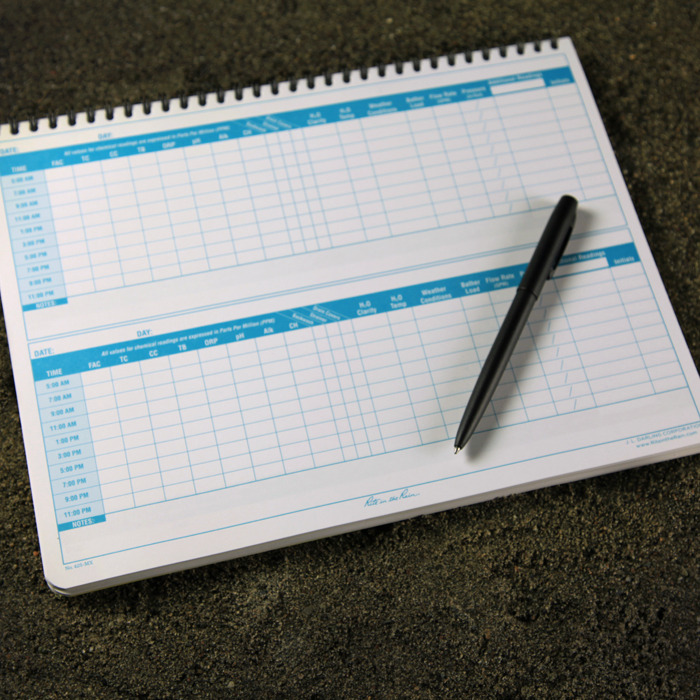 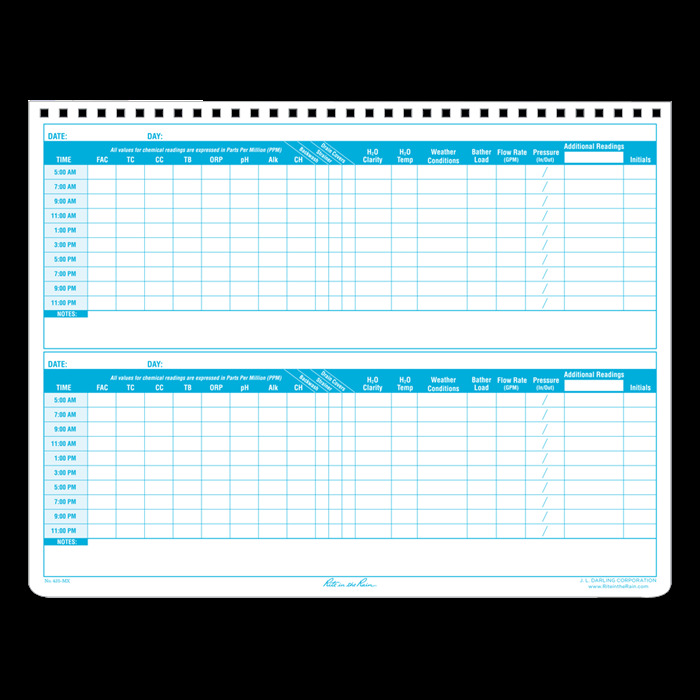 The notebook includes detailed tables for up to 6 months of daily pool records and is designed to meet local Health Department specifications. 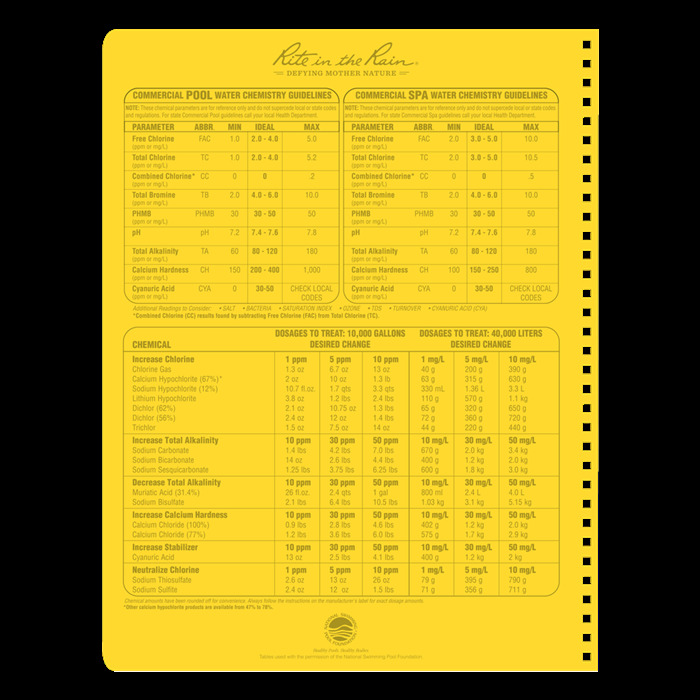 94 pages (47 Sheets).